The following article was written by Ken Shapiro of Travel Age West. 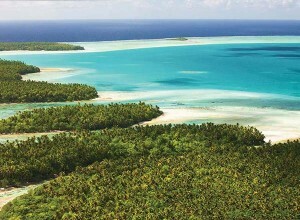 We are excited about the opening of The Brando – Tahiti, the first all inclusive resort in French Polynesia. Enjoy the history of this amazing resort that will open on July 1st, 2014. Tetiaroa is a unique island — or really an atoll — with a special history in French Polynesia as a favored retreat of Tahitian chiefs. 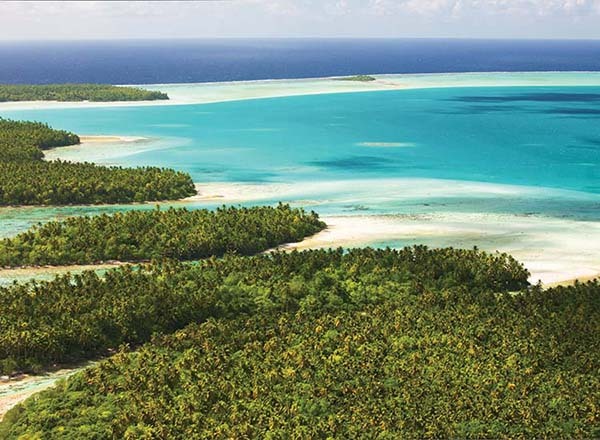 Guests will arrive at the resort via a 20-minute flight from Tahiti on Air Tetiaroa (an airline that was created just to service the resort). The first sight of Tetiaroa is spectacular — a beautiful ring of small islands with a lagoon in the middle with various shades of turquoise. One can immediately feel that this is a special place. The iconic American actor Marlon Brando purchased the island in 1967 when he was in Tahiti filming “Mutiny on the Bounty.” From early on, Brando would do his own research on environmental sustainability, learning all he could about solar power and the cutting-edge technologies in that era. It was Brando’s dream to open a sustainable eco-resort on the island one day — although, at the time, the terms “sustainable” and “eco-resort” were not the exact terms used. In 1999, Brando teamed with Bailey, a Louisiana native who had a history of creating top-notch resorts in French Polynesia (including InterContinental Bora Bora Resort). Until Brando’s death, Bailey worked with him on every aspect of the resort, and The Brando is the culmination of all those years of planning. Talking to Bailey, it’s obvious that The Brando is a passion project for him. Through The Brando, Bailey can create a model for how hospitality and sustainability can be balanced throughout French Polynesia and beyond. The resort will feature just 35 units and, per Marlon’s desires, none of the bungalows will be overwater or even on the beach; instead, the bungalows are built behind the tree line. Brando wanted guests to be able to walk on the beach all around the island and get the feeling of what it was like in its natural state — without the interference of civilization. The resort will be built to LEED Platinum standards. It will take advantage of solar power and wind power, and a special cooling system that utilizes deep-sea water. Instead of fossil fuels, the resort will use coconut oil. But guests will not have to trade comfort for sustainability. The resort will be five-star and will feature a wide range of upscale amenities, including beachside dining by a Michelin-star chef and a spa with treatment rooms built into the tree canopy. Guests of the resort will be able to pick from a variety of watersports and adventure activities. According to Bailey, guests will pretty much have the run of the motus and lagoon for exploration. In addition, The Brando will be assisting with several ongoing research projects, and guests will have the opportunity to participate in those projects as well. How well Bailey and team succeed in their vision for The Brando will be seen after it opens July 1. But it does seem fitting that, at the very least, the resort that bears the name of one of the most creative figures in American arts is striving to set a new and different course in hospitality. The Brando is taking a lot of risks — and you have to believe that Marlon would not have had it any other way. We thank Mr. Ken Shapiro for this wonderful article. He writes for TravelAge West.